Review of Hair Transplant Related Medical Literature: by Dr. Alan Feller and Dr. Blake Bloxham–Hair Transplant, Great Neck, NY for Hair Transplant Web. Publication: Hair Transplant Forum International: Volume 28/Number 4/July-August 2018, Page 133 (cover). In this article Dr. Wasserbauer correctly points out that while the use of tumescence during hair transplant surgery is common, there has been no consensus or single training source to guide operative decisions. In her well thought out article she breaks her observations down into several main sections: “Donor Area (FUT and FUE)”, “Recipient area”, and “Which method is best”. For Donor area application during FUT Dr. Wasserbauer argues that the strip incision is improved by full thickness tumescing in that it : Stabilizes the tissue to facilitate accurate cutting, improves hemostasis, reduces both blood vessel damage and nerve damage by lifting the strip off the vascular bed, and helps protect the follicles by creating more space between them. For Donor area application during FUE she advocates the same treatment as for FUT but with the added use of superficial tumescence to firm up and stabilize the upper layers. The advantage of this is that practitioners have reported less bleeding, faster extraction times, and reduced transection with all punch types. 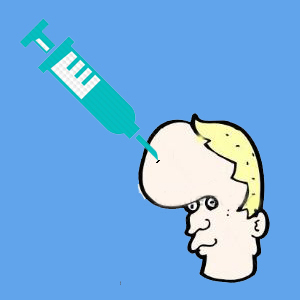 Tumescence for hair transplant surgery. the doctor’s day easier by limiting bleeding, protecting the deeper vascular bed, but also by allowing for a greater density of slits to be made than could otherwise be performed without the use of fluid. This is because when the slits are made after the skin is ballooned up with saline one may expect the slits to come closer together after the fluid drains. The only real “problem” she notes with this approach is that fluid has to go somewhere and usually it’s on the forehead and the face via lymph channels. So which tumescence is best ? 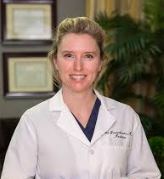 And by “which is best” she refers to which FLUID is best to use for tumescing during a hair transplant procedure which include: Saline alone, Chilled or room temperature fluid, and Mixtures of saline, anesthesia and/or epinephrine. Because, as she noted at the very beginning of her article, there is no consensus on this subject she requested that hair restoration physicians take an online survey to share their methods. At https://www.surveymonkey.com/r/77ZZR79. I thought this was an excellent primer on something we all do during surgery but almost never discuss or write about and I wasted no time completing the survey. I look forward to the published results. Tumescence is simply the surgical application of hydrodynamic physics which is incredibly complex and interesting. When understood it can become an invaluable tool for surgery as important as any other tool or trick in ones surgical hair restoration arsenal or “bag of tricks”. In my experience (23 years to date) tumescence is a virtual requirement for all FUT incisions. I have theorized that the reason it helps so much to protect the follicles is not only because it spreads them apart as the author discussed, but because a pressure wave is created just ahead of the direction of the knife thereby forcing the follicles even farther apart shortly BEFORE the blade arrives. This means not only must the pressure applied by the hand to the blade handle be modulated, but the SPEED at which this is done as well. This is analogous to the dynamics of waterskiing. If the boat goes to slow or too fast the skier will either sink or lose balance. And if the wrong amount of pressure is applied to the skies from the knees down the person will likewise wipe out. FUT requires a dynamic balance. And while this is true for FUT it is 100 times this for FUE. I liked that Dr. Wasserbauer focused on the added shallow tumescence she recommended during FUE. No doubt extra “firming” in the shallow layers can make the difference between a successful excision or a decapitation. However, that said, if the amount of fluid used in this way exceeds a certain point it will actually INCREASE torsional transection. That’s when the shallow portion of the target FUE graft disappears into the shaft of the punch and gets stuck there because the swelling caused a seal between the punch wall and the graft. In this state one small twist of the punch snaps the graft about ⅓ down it’s length. In these cases one might as well have put glue in the punch before making the FUE attempt. As for which tumesence is best, my view as far as the recipient area is saline alone and nothing else. The 1:100,000 epi in the lidocaine we use to numb the recipient area should be more than enough epi for just about any normal patient in addition to any saline I may add as tumescence thereafter. That said most doctors will think we use more saline to make up for the fact that we do not use any epi in our recipient tumescence. And that would be incorrect. Rather than pump more fluid into the scalp, we have a technician irrigate the recipient site during the re-implantation phase by simply dripping saline from a syringe without it’s needle in the areas that are being filled in. This way the field is not covered in blood, much less fluid is needed under the skin, and offers the added benefit of keeping the grafts moist during the entire process. It may be that the use of tumescence is too basic and variable to ever come to a consensus upon, much like how long it should take to boil an egg or make the best omelette, but the author has taken the first step in increasing awareness of this useful technique and all who practice Hair Restoration Surgery should visit her survey and submit their own experience and preference.